Hooks on the wall or knobs on your cabinet door may make all the difference in a room. 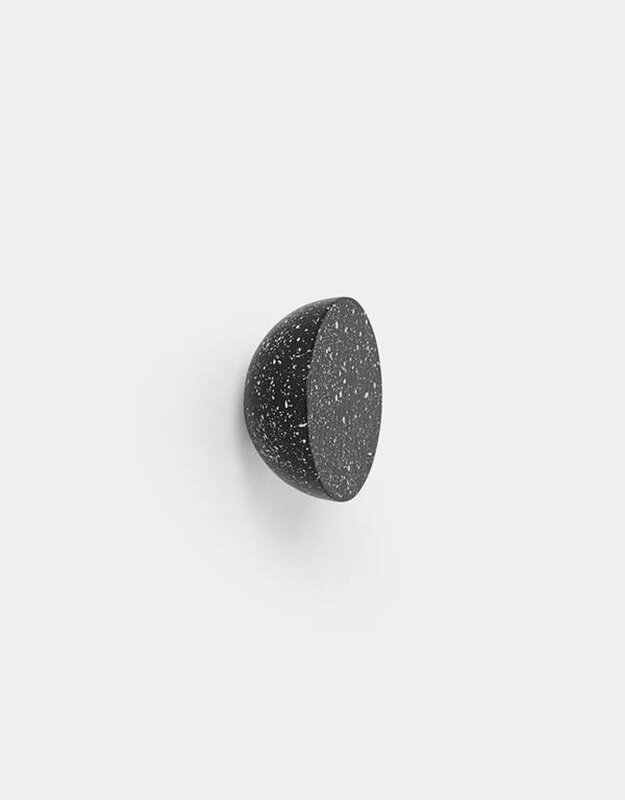 With inspiration in the world of adorning oneself with jewellery and accessories made of gemstones, we developed a new concept of hooks and knobs. They embellish your home with the classic aesthetic of honest materials, such as cast iron, semi-precious stones, marble, or brass. Use the same hooks, or experiment with mixing the different earthy materials to achieve an engaging expression with many, smaller focal points. This large hook is shaped of cast iron in our characteristic spotted print with clear references to the modern terrazzo. Use as hook or knob. Screws for both options included.